Another Michigan boy has signed his first NHL contract. 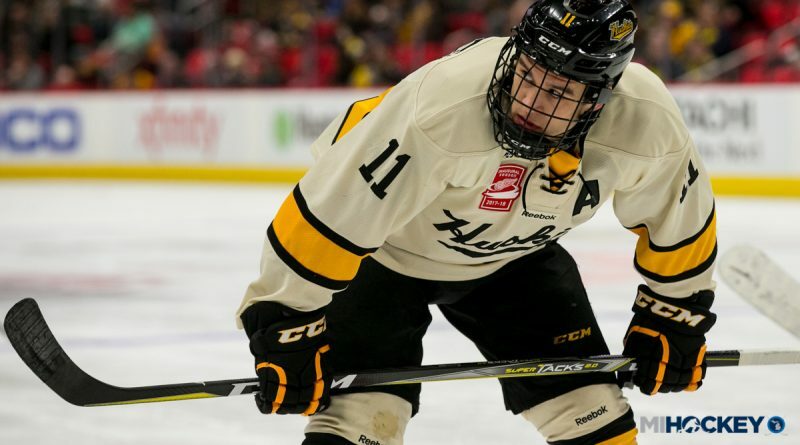 Congrats to Brighton native and Michigan Tech product Joel L’Esperance, who has signed a two-year, entry-level contract with the Dallas Stars. The 22-year-old seized an opportunity with the Stars’ AHL affiliate, the Texas Stars, at the conclusion of his four years with the Huskies and earned himself a job this upcoming season. In 22 playoff appearances with Texas this spring, he recorded four points and was a mainstay in the line-up for the Stars’ run to the Calder Cup Final. He recorded 98 total points in 152 games with MTU, playing a leadership role in the Huskies’ two recent NCAA Tournament appearances. Prior to his time in Houghton, he played for the Tri-City Storm and the Sioux City Musketeers of the USHL. L’Esperance is also a product of the Compuware AAA program.